In the past five years, several laws affecting divorces have been passed or amended by the state legislature. Here, we briefly review new divorce and family laws in Florida. These changes apply to new alimony awards entered on or after July 1, 2010, but do not provide a basis to change an existing alimony order. In 2011, Florida defined short, moderate and long-term marriages for purpose of entitlement to alimony. A short-term marriage is one that lasted less than seven years; a moderate-term marriage is from seven to 17 years; and a long-term marriage is one which exceeds 17 years duration. The time period is measured from the date of the marriage to the date of filing the dissolution of marriage action. New divorce laws in Florida recognize retirement status by capping alimony at 20% of the payer’s income, and terminating alimony upon full retirement age. Previously it was very difficult for a retired person to reduce alimony, even if his or her income was significantly lower than it was preretirement. Florida law now recognizes the parenting coordination process, which allows a parenting coordinator to be appointed when parents cannot make decisions about their children during child custody (parental responsibility) proceedings. Powers of a parenting coordinator include providing education, making recommendations, and making limited decisions with prior approval of both parents and the judge. The process that must be followed when a parent wants to move more than 50 miles away from the other parent now applies to pending divorce cases. Before this change, Florida’s child relocation law only applied after final judgment. In custody disputes, there is now a presumption that domestic violence harmed the child when a parent has been convicted of a first degree misdemeanor or higher. Previously, the law required the higher standard of a third degree felony before harm was presumed. 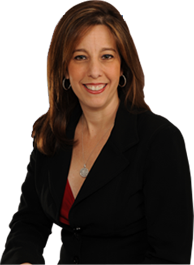 If you are facing divorce, please contact Sandra Bonfiglio, P.A. to schedule a consultation. We serve clients Fort Lauderdale, Boca Raton and Broward County.